There’s no #ThrowbackThursday for us! We’re all about sharing current news and views. 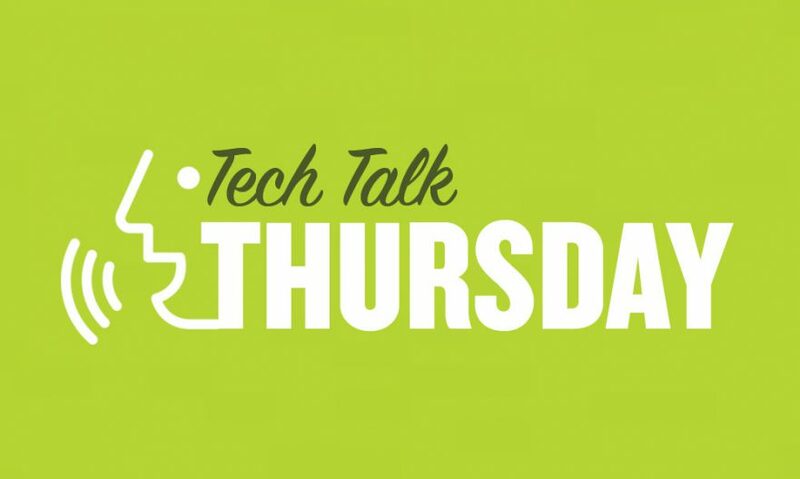 So welcome to #TechTalkThursday, your weekly update on the hottest tech stories hitting the headlines. Once again, we’ve handed our blog over to the Tech team who are sharing the stories that caught their attention. Google announced a chip and edge software that could transform the enterprise IoT landscape. Google is taking two steps – one in hardware and one in software – to bring its analytics and machine learning capabilities to edge networks and even to individual Internet of Things (IoT) devices to better deal with the data generated by a growing number of IoT devices. In collaboration with researchers, Google used some of the most recent architectures of deep convolutional networks and customized them to achieve an accuracy of more than 94% on the visual recognition task of identifying protein crystals. In order to spur further research in this area, they have made the data freely accessible, and open-sourced their model as part of the TensorFlow research model repository, and available to researchers as a Cloud ML Engine endpoint. The Netflix partnership is an industry first. The new Sony Master Series TVs come with a feature called Netflix Calibrated Mode. According to Sony and Netflix, this special setting ensures that Netflix content will look as close as possible to what the creator intended. Gizmodo review the TV and see whether it lives up to every TV nerds dream! Advocates of “data as labour” think users should be paid for using online services. This article is for Medium members so you have to sign up to read. So giving your data to them. However, it’s a good exchange as very interesting look at how valuable data is to people. Latest research on the state of adoption of machine learning tools and technologies across Europe. Here they share some top level findings and recommendations. The good news is that some companies at the forefront are beginning to share best practices, tools, and lessons learned as they deploy AI technologies.